. The building is designed to evolve.
. In its first phase, its function is wine storage.
. In its second one it is two flats.
. The construction used wooden frame. The whole insulation is made of wood fibre, for the wall as well as for the roff.
. The blower door test has carried out and airtightness is very good (near passive house label). 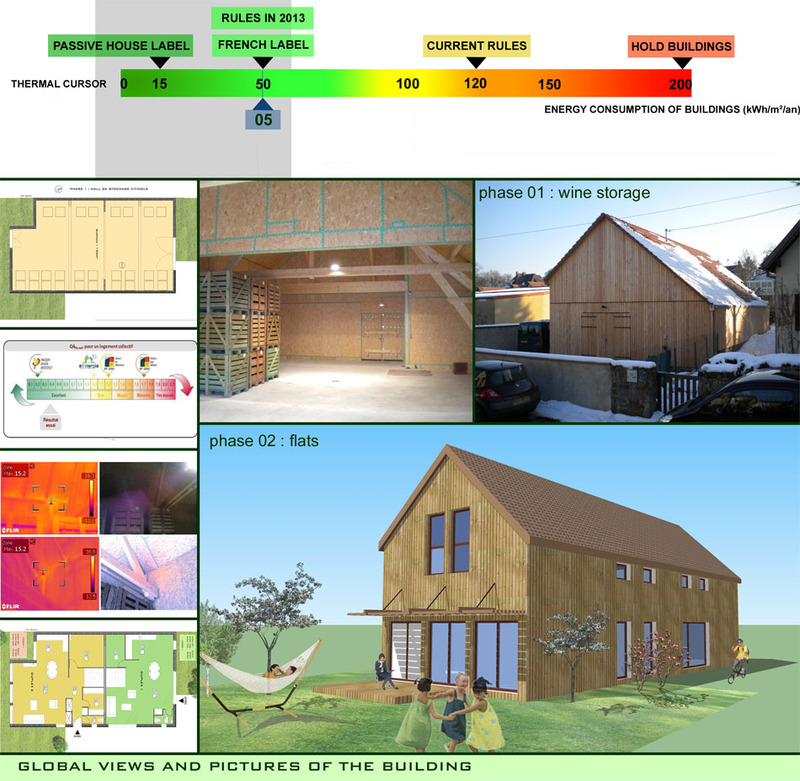 The building energy consumption is 50 Kwh/m2/year = French label (BBC Effinergie).